Handles, Locks & Lock Cables. Need Assistance?. We hope to hear from you soon! To fit an 8.5mm Hole. 'ONE CAR PART' Sales Team. We have a friendly and knowledgeable team who are more than happy to help. To fit: Citroen models -Saxo, Xsara, Berlingo. THE ONES YOU WILL GET ARE THE ONES IN THE PIC SO DOUBLE CHECK. Excellent buy now price. There are many different types of fasteners used - This is just one type of many but one of the most common to replace. 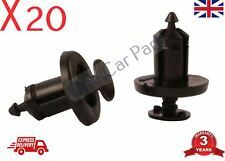 Suitable for Audi A3 & A4 Models. Key Features. We are gladly at your service for any further queries. Original Part Number - 8E0-868-243. Goods will only be despatched upon cleared funds. Monkey Wrench. 164.120 ML 280 CDI (V6) (164 ML Sedan 2005- M class). 164.121 ML 280 CDI (164 ML Sedan 2005- M class). 164.122 ML 320 CDI (V6) (164 ML Sedan 2005- M class). 164.124 ML 350 BLUETEC 4 MATIC (164 ML Sedan 2005- M class). Suitable Alternative to Land Rover Part Number: EKM100100L. We try to make sure our photos are as clear as possible so you can identify the correct parts. Make sure BEFORE YOU BUY that these are what you need - They are not the only clip or fastener used on the door cards -. 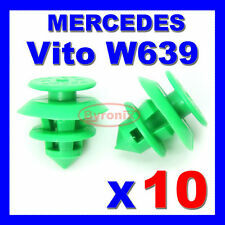 This clip is used on various Volkswagen vehicles for interior door cards or trim panels. Land Rover Dealer part number is DKP5279L. Land Rover Discovery 1989 - 1998 ( Series 1 ). Land Rover Discovery 1999 - 2004 ( Series 2 ). They are not used on all models! Opel Vivaro, Opel Movano; Nissan Primastar;. Body, Bumpers & Trims. Need Assistance?. Mass Air Flow Sensors. Opening Hours. 8.30am - 6.30pm. Belts, Tensioners & Pulleys. We have a friendly and knowledgeable team who are more than happy to help. CHECK sizes. Clip Sizes For the door cards. Original Part Number - 79086L. Push Rivets For the A-Pillar. Suitable for all Discovery 2 Models. Height: 14.5mm Width: 12.6mm Hole: 8mm. United Kingdom. We are gladly at your service for any further queries. Land Rover Defender 90, 110 and 130. 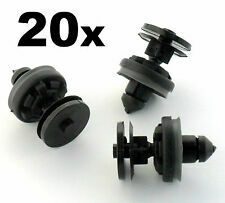 MXC1800 Fasteners x 24 pieces. Part Number (for reference purposes only). 2 x Full height barn door panels with window cut outs. ROVER 25 MG ZR 75 MG ZR. TRIM PANEL. INTERIOR DOOR CARD. BOOT LINING. If there are any problems, then we will try to resolve them for you. To fit Land Rover Series 3 door bottoms and Early Defender models with the 2 piece doors. This will also fit NAS spec Defender models with the 2 piece doors and our 2 piece series style door conversion kit, but again you will need to trim a small area where the check strap bracket goes. 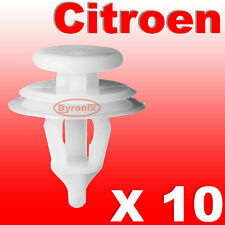 Citroen Part Number: 6990.50. To fit 8mm Hole. If there are any problems, then we will try to resolve them for you. Pair of Mazda MX5 Mk1 door cards from a 1996 car with electric windows, these are the ones with the alloy teardrop speaker covers. Why Choose VVO® Fasteners?. VVO Fasteners are produced to the identical specifications of the original parts. We understand the important quality and functional issues that are involved with automotive fasteners. Only to fit W163 models. We try to make sure our photos are as clear as possible so you can identify the correct parts. 20 X Vauxhall Vivaro. Colour THESE are the. VERY IMPORTANT READ THIS ! There is more than one type of clip for the door cards. IF YOU DONT HAVE AN OLD CLIP TO CHECK AGAINST THE PIC - DONT BUY - ITS THAT SIMPLE - as you may get the wrong ones. 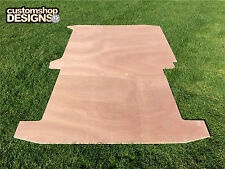 VW T5/T6 Transporter SWB Ply lining kit for barn door variant. Only the top sections around the windows require a few screw fixings. 1 x Full height sliding door panel c/w window cut out. 1 x Full height forward offside panel c/w window cut out. VAUXHALL ASTRA H & ZAFIRA B. Mass Air Flow Sensors. Body, Bumpers & Trims. Need Assistance?. Opening Hours. New Arrivals. To fit an 8mm hole. We have a friendly and knowledgeable team who are more than happy to help. The cheap copies are made from inferior plastics and are usually brittle and not exactly the correct size. To fit Many Skoda models as listed. This is just one type of a few available for the door cards. Vw part number is 7L6868243. As used on Audi A3 Door Cards. Audi OEM number is 8P0868243A. DONT BUY IF YOU DONT HAVE AN OLD CLIP TO COMPARE - it would be very silly considering the many different types - we cant guess which type you need. DONT BUY - IF YOU DONT HAVE AN OLD CLIP TO COMPAREas you may buy the wrong ones. land rover discovery 2 leather interior. Land rover Discovery 2 ES Automatic grey leather interior. Front seats are heated and electric, usual wear on drivers seat but not worn through. The boot doorcard has land rover subwoofer which is quite desireable. 2001 LAND ROVER FREELANDER Mk1 Door cards in black. Condition is Excellent. They are also used to attach the boot lid plastic trim liner on the Z4 (E86). We try to make sure our photos are as clear as possible so you can identify the correct parts. The clip is a high quality part that includes the foam sealing washer used to seal the bodywork and ensure the clip has a firm hold and will not rattle.